This is a twist on the old adage meant to give hope and inspiration to people whose lives have taken a turn for the worse; to give the illusion that opportunity is always just around a corner. 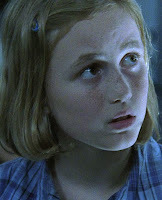 In The Walking Dead however, it seems that every time a new face turns up, one of the core group is irrevocably lost. Before I explain the examples of this thought, let me first clarify my restrictions for choosing them. I do not include the Morales family because to our knowledge they have not been killed, but rather chose to leave the group and head out on their own. Those I do include are people who have become a part of the group, with the exception of Otis, who would have been a part of the group (as a member of Hershel’s group he would have merged with the original Atlanta group) had he lived. The first example of this idea comes when Rick meets up with the survivors in Atlanta. Unfortunately, he is the new face in this instance. With his arrival, we see a horde of zombies attack the camp the survivors had staked out, which causes the deaths of Amy, Ed and ultimately Jim. Next we have Jacqui’s death. This occurs after being allowed into the CDC and discovering that a cure has not and likely will not be discovered within the United States. She chooses to stay in the building when it explodes as part of the emergency safety measures. 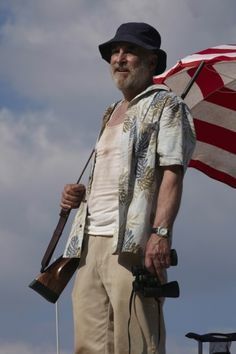 When the group moves to Hershel’s farm after Carl is shot, we have Otis killed by Shane. In this instance, I’d say he was both the new face and the death that followed, which is an unusual circumstance in the pattern. After meeting and getting to know Hershel’s household, we discover that Sophia is indeed dead, and was one of the Walkers kept in their barn. Finally, Randall is brought to the farm in an effort to save him, Rick decides to let him live, and then Dale is killed by a Walker. After seeing this pattern, I couldn’t help but wonder why it happens that way? I brought up this topic with fellow writer Amy Gugerty and she pointed out that there is a logistical reason for this: too many characters to follow means not enough attention devoted to them. People don’t remember who they are or what they’ve done. I am guilty of this myself. I had forgotten who the Morales family was, who Jacqui was, and that Jim was a part of the show. This makes sense, but I think there’s more to it than just logistics. I think that the line of who has died mirrors not only the deteriorating humanity of the group (Thanks Amy for that bit), but also their deteriorating hopes and morale. With each death, something vital is sucked away from the company. Obviously a life is gone, but each death indicates a loss of chance, of future opportunities that would have existed had that person survived. With Amy, it was a chance of familial bond for Andrea, which at the time she felt was the only reason she had to keep going forward. It’s difficult to see this kind of opportunity present with Ed and Jim, as their ties were tenuous to the group. Jacqui’s death corresponds with the death of the hope for a cure, and has members of the group wondering if suicide is the better option than survival. When Otis is killed, we see the death of decency in Shane – he has become a creature that will do whatever it takes for its own survival. Sophia’s death indicates the end of childhood; not even children are sacred or safe in a world where the dead rise again. And finally, Dale’s death expresses the finality of the group’s concern for safety superceding the untried killing of an individual. His is a symbol for the death of justice as we’ve known it, and the death of civilization and the qualities of goodness that make people greater than the sum of their individuality. Even with Rick’s turnaround, the fact that Dale is killed gives a sense of too little, too late, and there’s no going back now. An irrevocable act, a door closed. My thanks to my friend Joe for giving me the idea for this article, without his comments I wouldn’t have had this brainstorm!